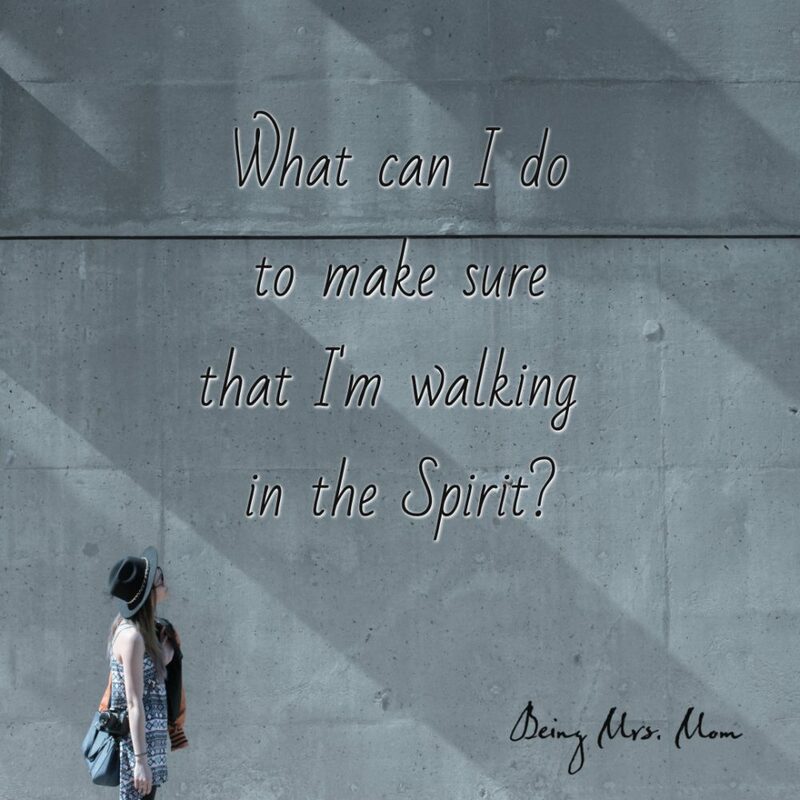 In my last post, we discussed the problem of Walking In the Spirit as a 21st Century Woman. If you didn’t get a chance to read that post, I’d like to encourage you to take a moment to read that post. Once you have read it and thought about what we discussed, come back here so that we can look at the 3 Practical Things that I promised you. Before we dive into those 3 things, did you take the time to journal about those questions that I asked you? If you did not, please take the time to do it now. This post isn’t going anywhere and I know from experience that journaling helps process topic so much better that just thinking about them. If you did get to journal about the topics, what did you find out about yourself, your atmosphere, and your current spiritual standing? If you are like me, you are not completely surprised. You knew a while ago that there were things that you needed and could feel that the world was pulling on you more and more each day. This is normal. There are going to be different seasons in our lives where we do an assessment and find things that need to go and other things that we want to implement into our lives. One important question that I asked you was if you actually believed that your problem could be fixed. Do you really believe that there is hope in this situation. I am going to assume that because you are still reading this, your answer is yes. Why does it matter what I believe? Well, I’m glad that you asked. The Bible says that those who come to God must believe that He is and that He is a rewarder of those that diligently seek Him. This means that what you and I believe is extremely important to the outcome of our situations. If you are still doubting that God is able to bring you out of the place that you are currently in and that you can overcome this, I would advise you to stop and ask yourself why you are struggling with this in your faith. Do you think that the way that women live today is a obstacle to living in the Spirit? If you don’t really see the problem yet, I would encourage you to take a few days and live your life as normal. Journal each night about the problems that you face, the mindset that you find yourself in, and the things that influence you. After about 3-5 days of this, go back and read what you wrote. Make a list of the issues and then come back to this post, so that we can move forward. When you’re ready, I’m ready. So, Let’s go! Once again, let’s stop and glean from the word of God. Verse 16. I say then, Walk in the Spirit and you shall not fulfill the lust of the flesh. As we look at the scriptures, we can see specific words being used. This words indicate action. They are verbs like live, walk, fulfill, let, obey, become, provoke, envy. Let’s take ownership of our actions and look at the 3 things you can do to make sure that you are walking in the Spirit. 1. Be conscious, tender hearted, and aware of what is happening in and around you. Remember that the flesh wars against the spirit, constantly. You have to know whats happening in you, as you are having various experiences in life. This means that you cannot avoid being alone. You can’t tell yourself that you don’t need to think and reflect on life. You have to hold yourself accountable and journal out your feelings and thoughts. You have to give yourself the freedom to tell the truth about what’s happening, as your journal. Keep your heart tender and remain conscious, by not allowing yourself to spiritually die. What happens in you when you experience life? How does it affect you? How can you protect your heart without building walls? Are you able to set up boundaries that will act as fences in your life? This one is very easy, or so it may seem, but it requires persistence. No matter what happens, you have to keep an open line of communication with the Lord. Continually have a heart of prayer because it is a type of life line. It keeps you connected to the Lord at all times. You can speak to Him and know that He hears you. Please do not forget that you can hear from Him as He answers the things that you inquire of Him about. Even when you don’t know what to do, God does, so pray. He cares about you, so give your problems to Him. There is great power in prayer, so make sure to remain prayerful. You have to make a point to listen to the prompting of the Holy Spirit in your life. Listen to the Lord, as you hear His voice. Make sure to do what you hear Him say or what He leads you to do. Some things will come as unctions instead of words, you have to know that you have the ability to hear from the Lord, but you also have to choose to do the things that He calls you to do. When you stop listening your spirit can succumb to the flesh and disobedience can seep in. It won’t come alone. Bitterness, anger, jealousy, selfish ambitions, and all of the works of the flesh will attempt to overtake you, if you turn a deaf ear to the Lord. Though we live in the 21st century and there is a lot up against us, there is also a lot for us… GOD. Pull though and force your character to be godly. Remember those action words form earlier in this conversation? Make a decision to live, walk, and obey the Lord. Become the woman that God has called you to be and overcome the works of darkness, by following these 3 practical steps. At first it might feel hard to turn down the noise and focus, but the more you turn from evil, the more you will embrace the freedom that you were given in Christ Jesus. Do it today! Just make a commitment to take these 3 practical steps each day of your life, at every opportunity that you get. Be conscious, tender hearted, and aware of what is happening in and around you. If you have found this helpful, consider purchasing my book “Being Mrs. 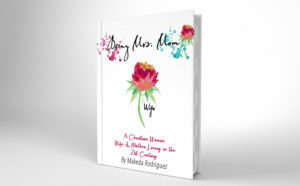 Mom: A Christian Woman, Wife and Mother Living in the 21st Century.” It’s pact with my struggles and how I have overcome my past, myself, and my pain to become the woman that God calls me to be. Hi Kari. Thanks so much for visiting and commenting. I’m so honored that you like my blog. The Christian community does have a lot to be shared. Keep encouraging us, as you have.